Google announces Android 8.0 Oreo. Today, Google officially introduced Android 8.0 Oreo, the latest release of the platform-and it's smarter, faster and more powerful than ever. It comes with new features like picture-in-picture and Autofill to help you navigate tasks seamlessly. Plus, it's got stronger security protections and speed improvements that keep you safe. Ever try checking your schedule while staying on a video call? Android Oreo makes it easy with picture-in-picture, letting you see two apps at once: it's like having the power to be in two places at the same time! Overwhelmed by notifications, but missing the ones you care about the most? With Android Oreo, notification dots let you tap to see what's new in your apps -- like the important ones you put on your homescreen -- and then take action on those notifications quickly. 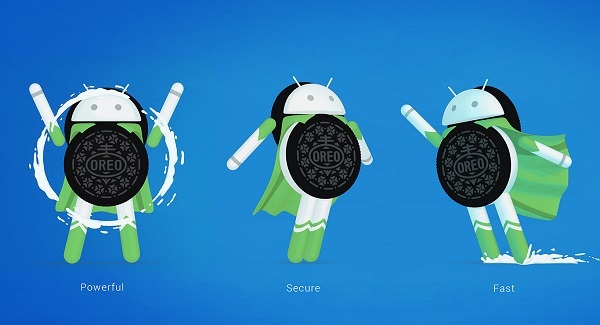 Android Oreo is more secure with Google Play Protect built in, security status front and center in settings, and tighter app install controls. With Android Oreo, you can get started on tasks more quickly than ever with a faster boot speed (up to twice as fast on Pixel, in fact). Once you're powered up, Autofill on Android Oreo remembers things like logins (with your permission) to quickly get you into your favorite apps. Plus, support for Android Instant Apps means you can teleport directly into new apps, no installation needed. Even superheroes don't go it alone. Android Oreo brings along a team of fully-redesigned emojis. Google pushing the sources to Android Open Source Project (AOSP) for everyone to access today. Pixel and Nexus 5X/6P builds have entered carrier testing, and Google expect to start rolling out in phases soon, alongside Pixel C and Nexus Player. Google also been working closely with its partners, and by the end of this year, hardware makers including Essential, General Mobile, HMD Global Home of Nokia Phones, Huawei, HTC, Kyocera, LG, Motorola, Samsung, Sharp and Sony are scheduled to launch or upgrade devices to Android 8.0 Oreo. Any devices enrolled in the Android Beta Program will also receive this final version.